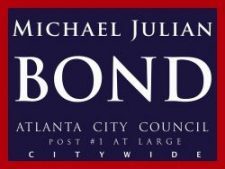 ichael Julian Bond has completed 2 successful terms as the representative from Atlanta City Council Post 1. A fifth generation Atlantan, he is the son of famed Civil rights leader and NAACP Board Chairman Julian Bond and Alice Clopton Bond. Bond is a divorced single father of three children: Lauren, Mychael and Schuyler, who have attended Atlanta Public Schools. Bond’s Council accomplishments include limiting the number of package stores in neighborhoods and attacking neighborhood blight. He fulfilled the City’s 30 year old promise to rebuild the historic Washington Park Natatorium and secured over $130 million for the creation of Westside Village on Martin Luther King Jr. Drive. It is the largest single investment in Atlanta’s African American community. He authored Equal Benefits legislation to provide unmarried domestic partners with equal benefits. He has supported senior citizens, and provided limousine rides and a luncheon to honor National Senior Citizens Month. Outside of Public Office, Bond has remained committed to the community. Michael Bond represented The National NAMES Project at the AIDS Quilt Unveiling Ceremony. He has raised $240,000 for the Voter Fund to increase voter registration and voter awareness. He fought to save some of Atlanta’s Historic Landmarks – The Pascal Hotel and also raised money to save the oldest historically black college, Morris Brown College. He worked with the NAACP and the Westside Coalition to successfully block plans to build a trash station in their neighborhood. He fought successfully against unfair payday lenders and help launch an affordable housing effort in conjunction with Freddie-Mac. Bond attended Morehouse College and Georgia State University, and is a member of Leadership Atlanta and the Black-Jewish Coalition’s Project Understanding. 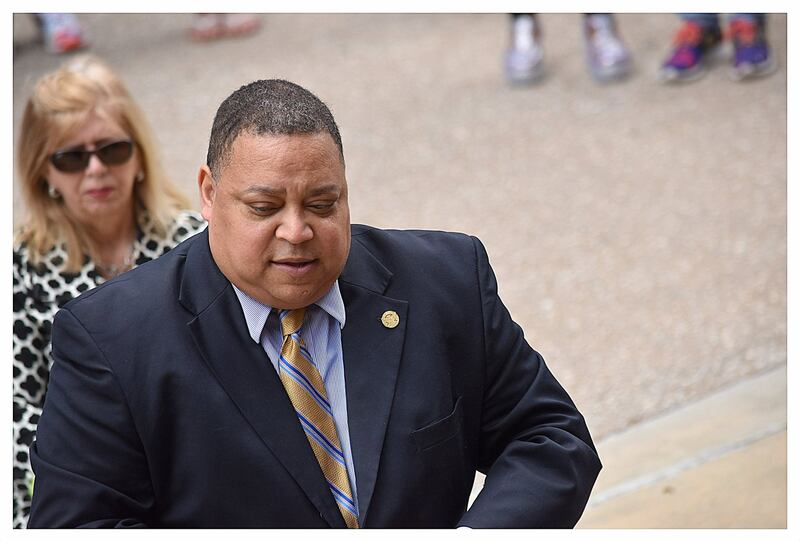 He was also the deputy director and chief programs officer of the Atlanta NAACP. Bond is a member of AFSCME, and continues to support organized labor. He and his family are members of Antioch Baptist Church North.